Keep yourself safe and happy in nature. Be considerate when turning up to the camping site. If you've arrived at an odd time, such as late at night, do your utmost to keep arrival noises and lights to a bare minimum. You may be joyously relieved that you've finally made it at midnight but your campground neighbors won't be so happy if your tent-raising whoops of joy wake them up. Equally, at any time you turn up, be considerate about your neighboring campsites and don't block their access or exit points while you're setting up and be sure to select a campsite that is actually free for use or booked to you. Treat the campground facilities as you'd treat your own home. 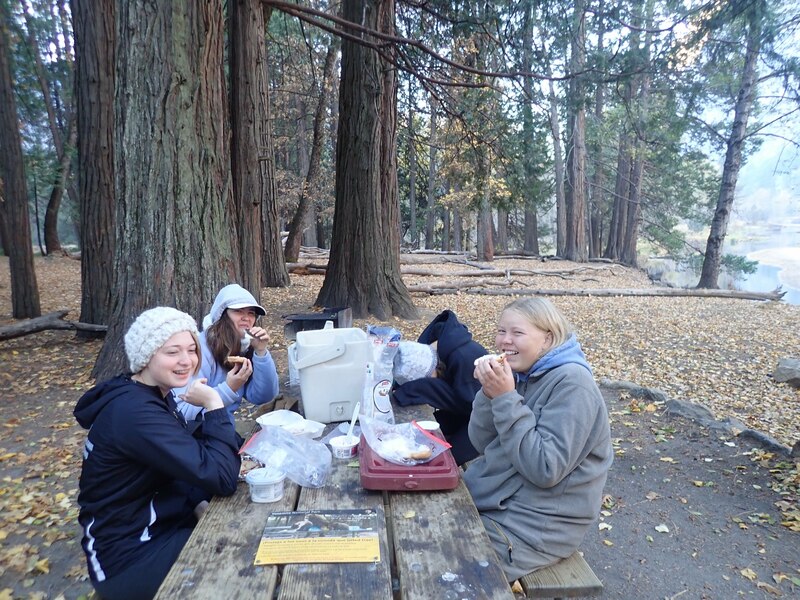 Many people love to camp in the same campgrounds year after year and develop a sense of community together. Even where the campers are not regulars, there is still a sense of community built up immediately from the fact that everyone is pursuing their love of camping. As part of this, the campground is a home away from home and should be treated as such. Start by knowing the campground rules and respecting them. Be friendly and greet other campers. Again, this is part of being within the camping community and even though you may not know the other people, you all have a common goal of enjoying the camping experience. Avoid parking your tent right up next to your neighbor's tent. Unless you know one another, this is just getting too close for comfort. Avoid shining your flashlight into anyone else's tent but your own. Don't play flashlight games over someone else's tent either! Keep flashlights down to the ground when walking about. If you take the time to let your eyes acclimate, you may not even need a flashlight. Be extra considerate of campers near busy facilities such as the bathrooms, toilets, or food areas. The constant foot traffic is to be expected but it should be quiet. Allow for tent privacy at all times and avoid peering into other's tents. If cooking food that has a particularly strong odor, be thoughtful of your downwind neighbors. If there is a central cooking place, choose that over cooking near other tents, to keep the strong odors away. If chilly nights are possible, come prepared. For more options, see our Camp Kitchen Checklist.